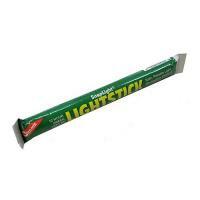 A glow stick is a great lighting device to have in tow in an emergency camping situation when batteries and electricity are unavailable. Their long usage times--up to 30 hours--in addition to their small size, and the fact that they virtually indestructible, make them a must have on any camping trip. 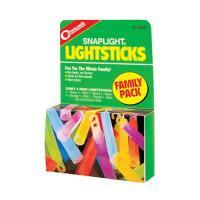 Most glow stick products are also submersible and are often used by divers. We offer a variety of glow stick products in a number of colors and sizes, including glow sticks for kids, which are cool to the touch and non-toxic. 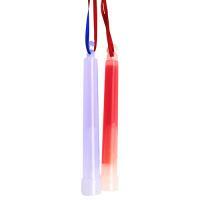 Want your glow stick product fast? We offer rapid shipping with all of our inventory, ensuring that you won’t have wait long to get the camping gear you need. In general, this is a great product. The one drawback is that it is most visible from the sides. 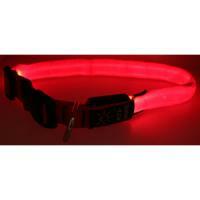 However, used with a Night Dog leash, I now feel much safer walking our dog at night. Easy to pack, easy to use, lasted all night! An excellent light, great for in the car, camping, and around the house. I use mine a lot, and it is sturdy and works well, and the battery life is pretty good. It is also ideally suited for an emergency light with its multiple settings including SOS and strobe settings. I've also found it very handy when the power is out. Great item! Extremely bright and totally indestructable, I use these for a little night fishing and the fish love it! This nifty little light works great and goes everywhere! I keep it in my purse for emergencies, and it has proved itself again and again as a useful light whenever and wherever I need it. Thanks for this highly useful product!